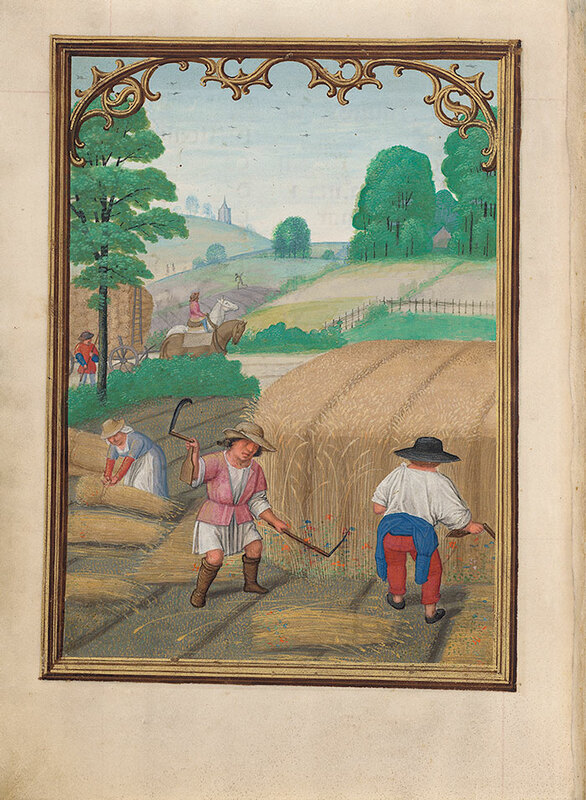 Occupation of the month: August―In a field, a woman binds grain into sheaves. A man threshes grain with two flails. A second man reaps grain with a sickle. Beyond, two horses, one ridden by a man, pull a cart stacked with sheaves of grain. In the background are more fields and a landscape with buildings.